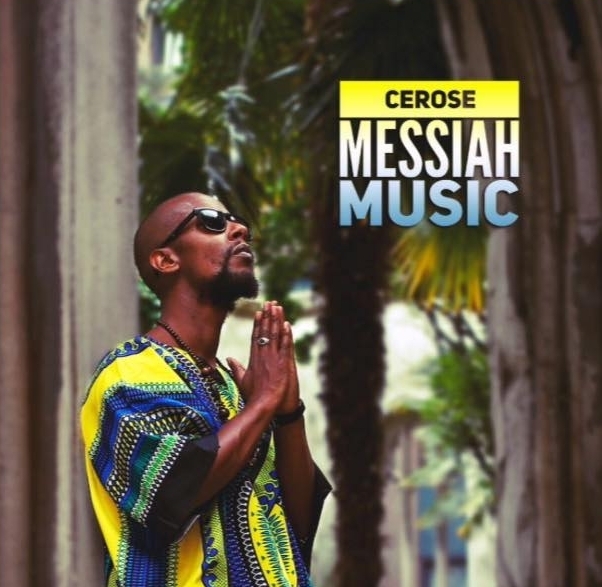 Cerose is a ex convicted drug dealer & well known underground “gangster rapper” who has now accepted Jesus Christ as his personal Lord and savior. He is now on a mission to share Jesus message and to point people to righteousness. Cerose comes from a predominantly traditional Jamaican Pentecostal church upbringing. He grew up in Brixton, South London. He incorporated his feelings about life, as a young man while living in inner-city London by "chatting", a term used for rapping in a Jamaican dancehall style. When Cerose was 16 years old he spent six months in Jamaica sponsored by a local small time producer. Through his musical journey in Jamaica he had the opportunity to develop as an artist and record at Arrows, King Jammy's, and the world famous Tuff Gong. As Cerose got older and evolved as an artist, so did music around the world. "Chatting" now became “spitting bars” (a street term for rapping). Cerose spent many years in the UK music scene working with artists such as Gigs, Blade Brown & Ghetts after flirting with the UK scene for many years not to mention 2 prison sentences, Cerose and his business partner, Dre London, who was his manager at the time and a childhood friend, began to look towards a new sound, so October 2008 they packed their bags and went to America to Pursue the “American Dream”. Cerose would travel back and forth from UK to America writing, recording, and networking on a tourist visa 3 months at a time sometimes sleeping on the floor & on people's sofas all in the name of music for the next 6 years. During his time in America Cerose had the opportunity to make music with many respected producers and artists such as Cut Master C, Dame Grease, Harry fraud, Ransom, French Montana, etc but as time went on Cerose began to get more and more frustrated with the compromising “lifestyle” of the industry and some of the strange things that were going on around him that seemed to be normal to everyone else. Slowly without realizing Cerose was losing respect and love for hip hop. Disgusted with everything around him he lost the passion to create music. Always a firm believer he was put here on earth to make music, after recently returning from LA January 2014, Cerose accepted to himself that it's time to knuckle down & stop chasing his “dreams”, get a “real job” & he wasn't going to continue making music. God had other plans. Due to his heavily influenced Christian upbringing Cerose has always had an awareness of God, & from a child a particular interest in eschatology/ end times prophecy as he used to hear his father speak of it all the Time. In the time that followed, Cerose began to look into the bible, studying with his father, and for the 1st time genuinely understanding what he was reading as if the words “came alive”. Also separately watching documentaries and sermons on YouTube, he quickly developed a passion like a burning fire for God. Blazing inside and seeing how the prophecies are being fulfilled in “real time”, the word of God convicted him instantly. Now Cerose is on a mission to use rap music to prophesy Jesus return, wake up the sleeping church, point the lost souls to the christ & to expose wickedness, false prophets & false teachings.